Microbiology - Is it Science or Art !?!? Definitely not a handiwork of Leonardo Da vinci or M.F. Hussain. 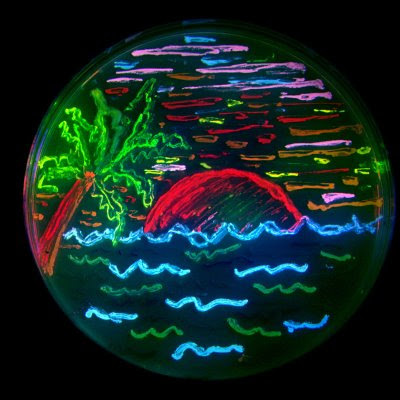 A breathtakingly awesome colourful San Diego beach scene painted by bacteria, that express 8 different colours of fluorescent proteins. This picture illustrates the diversity of genetic mutations.